In my last post I claimed a disinterest in associating nostalgia with objects. This does not hold true for me when it comes to photographs. I discovered a younger version of our family recently when going through an old photo album. 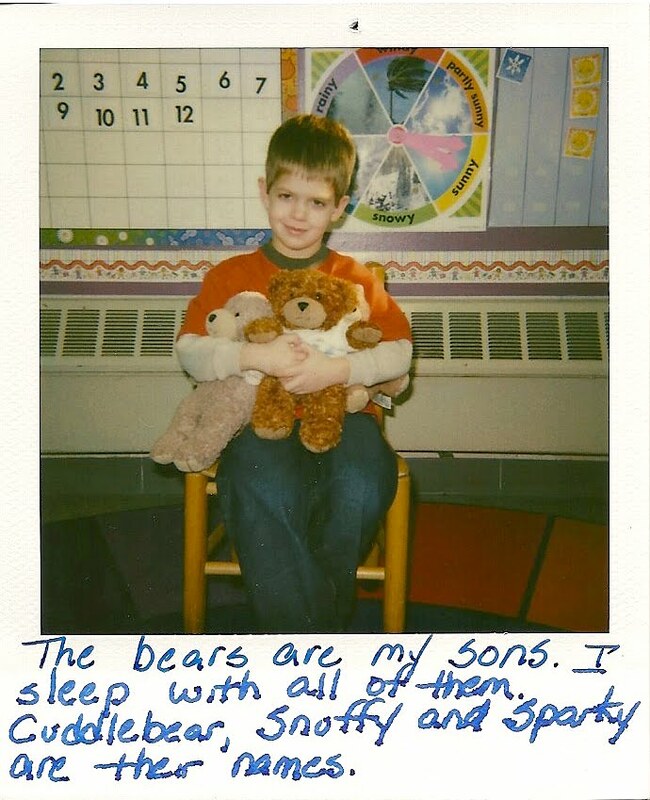 I paused at a Polaroid of my son in preschool holding three teddy bears. 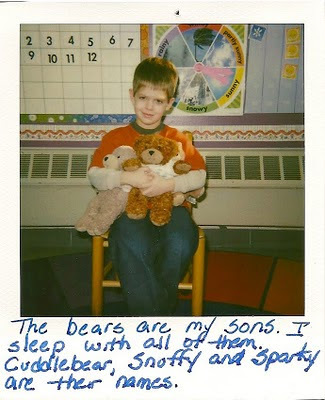 I was reminded of a time when he openly expressed affection for stuffed animals and didn't want to leave my side. The stuffed animals are piled in a corner now, starved for attention. I know their pain. Someday I will look back at this photograph and it will become a substitute for the memory - - a reminder of my boys dazed at a hot summer day's end, their two bodies at rest on my bed. A wistful trip to Neverland when I was Tinker Bell, sprinkling digital ephemera for fairy dust.